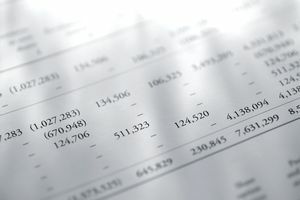 How Do I Prepare a Profit and Loss Statement? Even if you don't need money for your small business startup from a bank or other lender, you will need several financial statements to help you make some decisions. The most important financial statement any business needs is a profit and loss statement (called a "P&L"). Sometimes it's called an income statement. This statement shows the revenues and expenses of the business, and resulting profit or loss, over a specific time period (a month, a quarter, or a year). When Do I Need to Prepare a Profit and Loss Statement? Periodic P&L. Every business needs to prepare and review its profit and loss statement periodically - at least every quarter. Reviewing the profit and loss statement helps the business make decisions and to prepare the business tax return. Your business tax return will use the information from the P&L as the basis for the calculation of net income, to determine the income tax your business must pay. Pro Forma P&L. A new business needs to create a profit and loss statement at startup. This statement is created pro forma, meaning that it is projected into the future. Your business will also need a pro forma P&L when applying for funding for any new business project. What information do I need to prepare this statement? A transaction listing, of all the transactions in your business checking account and all the purchases made with your business credit cards. Include any petty cash transactions or other cash transactions for which you have receipts. For income, you will need a listing of all sources of income - checks, credit card payments, etc. You should be able to find these on your bank statement. You will also need information on any reductions to sale, like discounts or returns. If you are using business accounting software, the profit and loss statement should be included with the standard reports. Even if you have this report in your system, you should still know what information is required to prepare the report. Don't forget to add cash transactions, both income and expenses. Even if you have business accounting software, you may still have to enter cash transactions manually, including cash for petty cash and income. If you accept cash from customers, use a cash transaction form (available from office supply companies) or a simple invoice. For cash payments, save the receipt. These receipts are especially important for business driving and business meals expenses. The preparation process and information needed is the same whether you are preparing a statement at startup or to use for tax preparation or business analysis. For each row, you will have a quarterly amount then a total for the year. First, show your business net income (usually titled "Sales") for each quarter of the year. You can break down the income into sub-sections to show income from different sources if you wish. Then, itemize your business expenses for each quarter. Show each expense as a percentage of Sales. All expenses should total to 100% of Sales. Then show the difference between Sales and Expenses as Earnings. This is sometimes called EBITDA (earnings before interest, taxes, depreciation, amortization). Then show total interest on your business debt for the year and subtract from EBITDA. Next list taxes on net income (usually estimated) and subtract. Finally, show total depreciation and amortization for the year and subtract. The number you have now is net earnings, or your business profit - or loss. If you are starting a business, you don't yet have the information to prepare a real P&L statement, so you have to guess. A pro forma statement is usually prepared for each month of the first year in business, but your lender may require you to add more months or years to the projection to show the break-even point when your business is generating positive cash flow on a consistent basis. 1. List all possible expenses, over-estimating so you aren't surprised. Don't forget to add a category for "miscellaneous" and an amount. 2. Estimate sales for each month. Under-estimate sales, both in timing and amount. 3. The difference between expenses and sales is usually negative for some period of time. The negative amounts should be accumulated to give you an idea of how much you will need to borrow to get your business started.